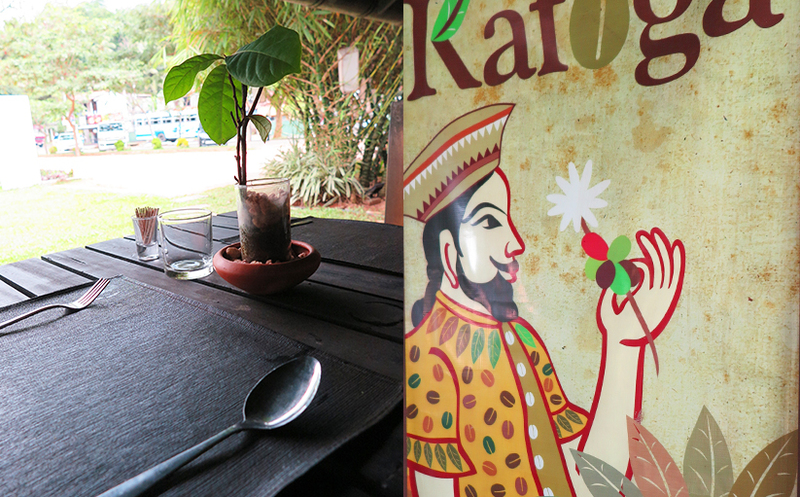 When you travel to Sri Lanka, it’s not exactly easy to decide where to go. For a rather small country Sri Lanka offers an incredible variety of places to visit. The cities of Colombo and Kandy, the beaches of the south coast as well as numerous cultural and religious sites are waiting to be discovered. Also, you’ll probably be eager to see the wonderful natural landscapes and the diverse animal life. In this blog series we will introduce you to the east coast travel highlights of the Trincomalee area and the beautiful beaches of Nilaveli. 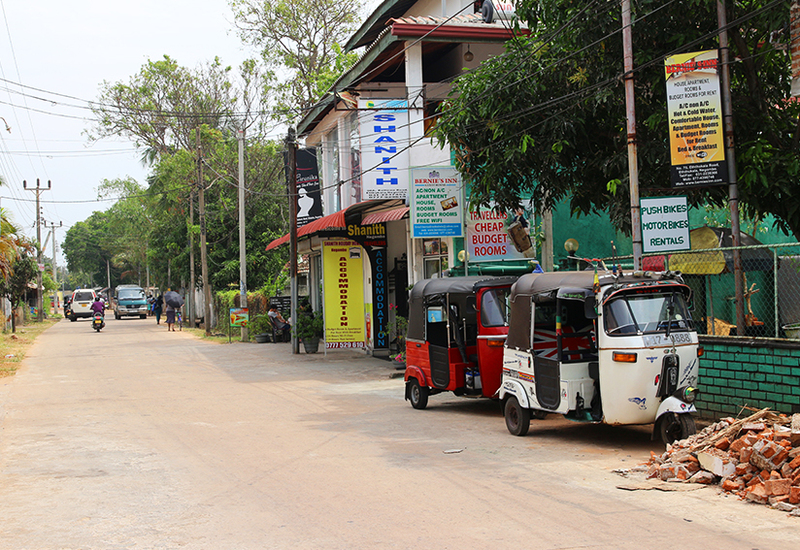 Many travellers don’t include the east coast in their tour, mainly because it takes 6 to 7 hours to get there from Colombo by car. But, as they say, the journey is the reward. There are a lot of great things to explore on the way that make the long journey worthwhile. We will give you more details about this later. 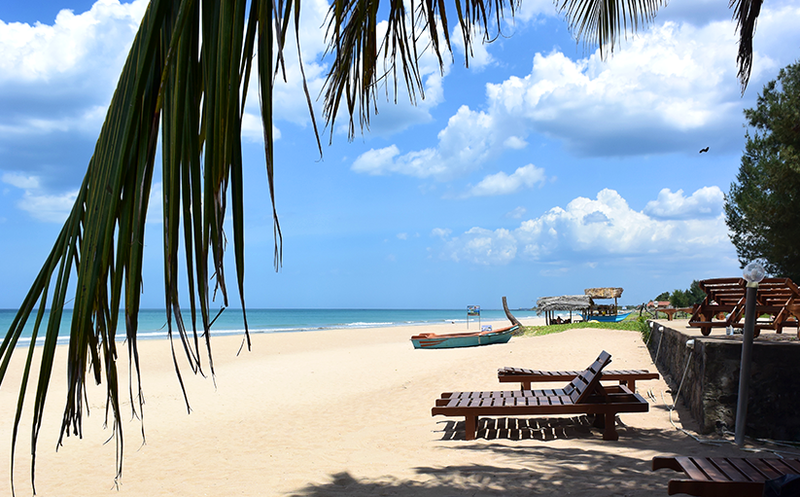 White sandy beaches on Sri Lanka’s East coast inviting you to relax and dream. 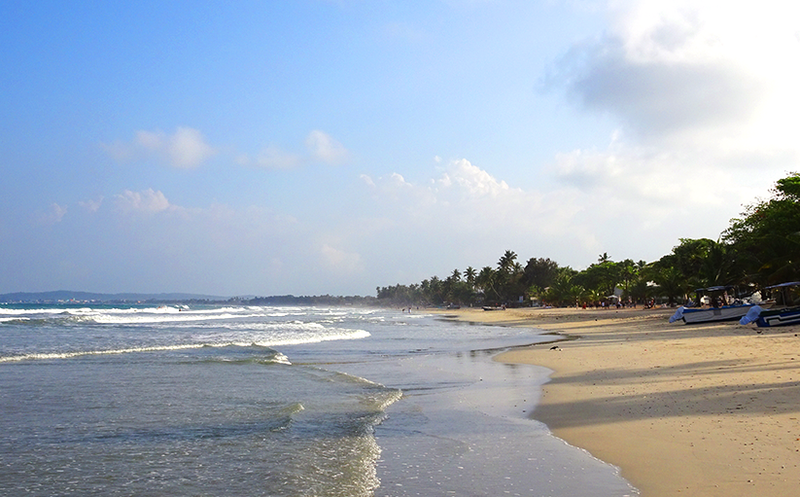 Sri Lanka’s East coast with amazing beaches in Uppuveli. 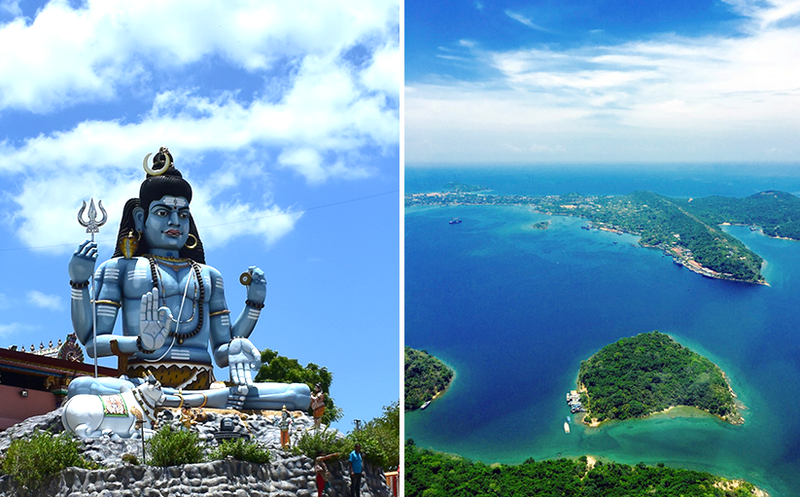 The east coast surrounding Trincomalee has a lot to offer. Deserted beaches invite you to relax and to enjoy calm and serenity. You can also go snorkelling, diving or dolphin watching. The best time to travel to Sri Lanka’s east coast is from February until the end of September, with the main season starting in April. During this period, you are guaranteed to have plenty of sunshine and no rain. The ocean is calm, perfect for swimming. The air temperatures can reach up to 38 °C (98 °F). 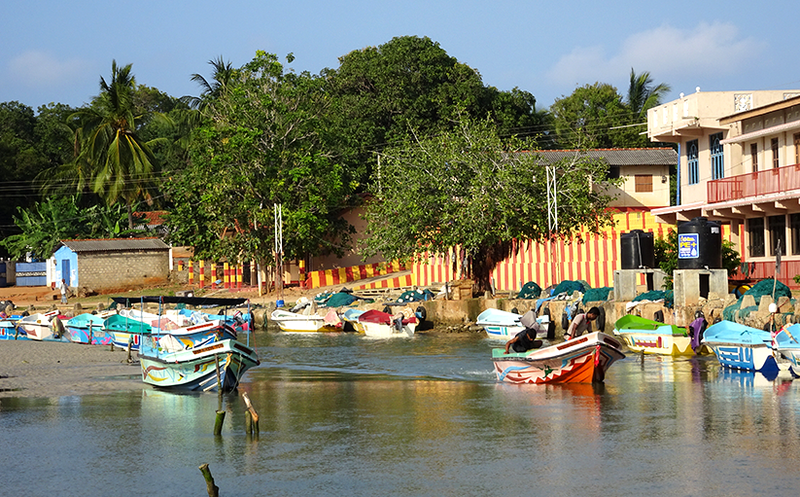 The area surrounding Trincomalee in the north and northeast is mostly inhabited by Sri Lanka’s Tamil population. This is why this region is the central hub of the country’s Hindu culture. 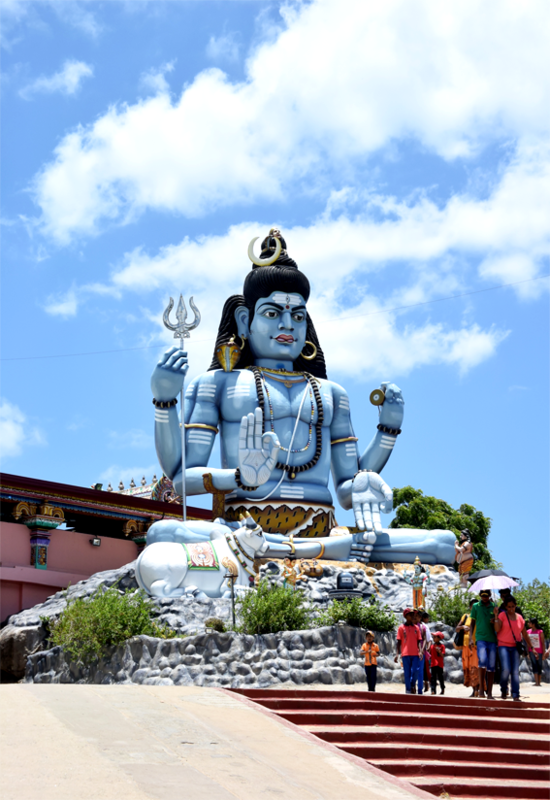 You can visit a variety of impressive Hindu temples, creating an interesting contrast to the vast majority of Buddhist temples elsewhere in the country. Based on your interests and the time at your disposal you can put together a varied tour to explore the highlights of the Trincomalee area. I think a 5-day tour would be perfect, because it includes plenty of time to relax. 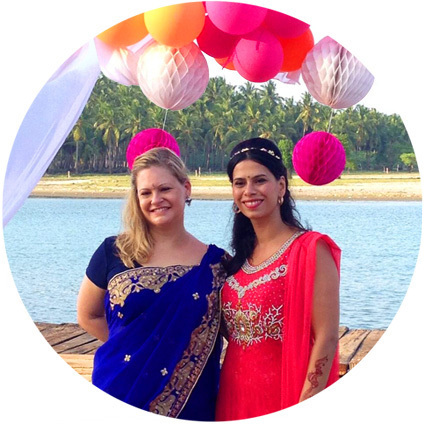 In the following, I will present you my Sri Lanka East Coast favourites, divided into 5 perfect days. If you don’t have that much time, you can plan a shorter trip by picking only your favourite destinations. An easy way to save some travel time is by flying in from Colombo with Cinnamon Air. 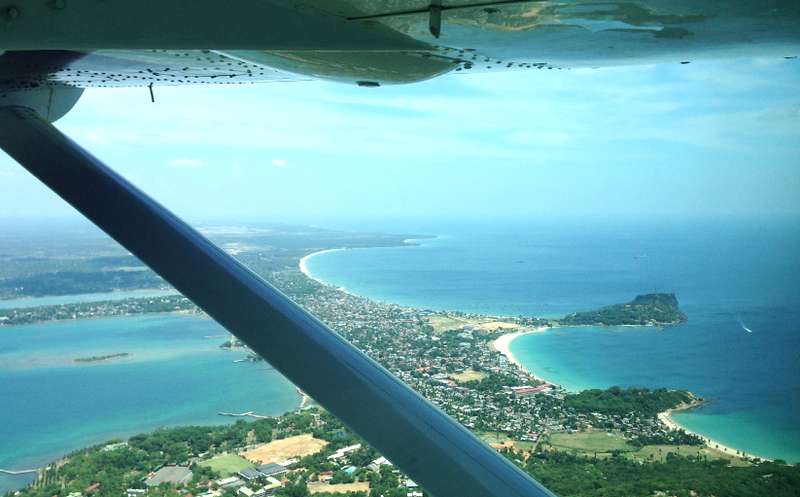 You’ll arrive at the small military airport near Trincomalee in only 50 minutes.Plus, the small plane offers a breath-taking view of the natural landscapes. Stunning view from airplane over Trincomalee area – photo by Cinnamon Air. After arriving the evening before or in the morning, you should spend a relaxing first day. And what better way to start off the day than with a delicious cup of coffee und some freshly prepared breakfast? Irfan offers exactly what you need in the Alles Garden Road in Uppuveli. 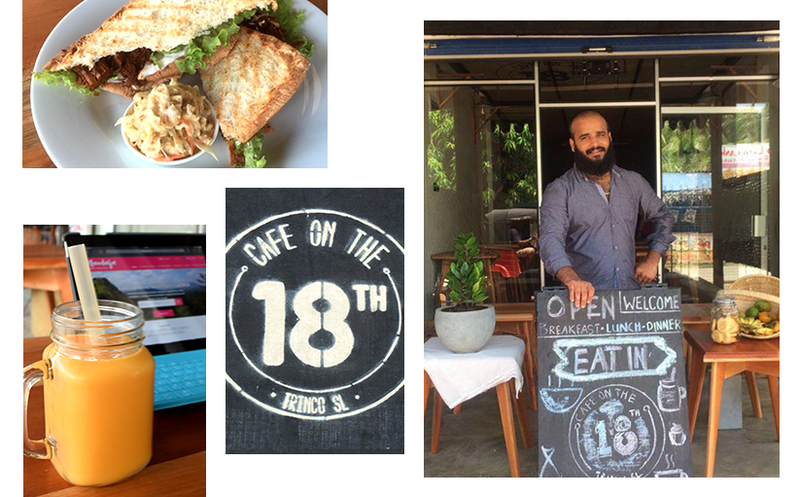 His “Cafe on the 18th” serves breakfast all day long. Get a little sneak peek here. Still feeling a little tired and jetlagged? 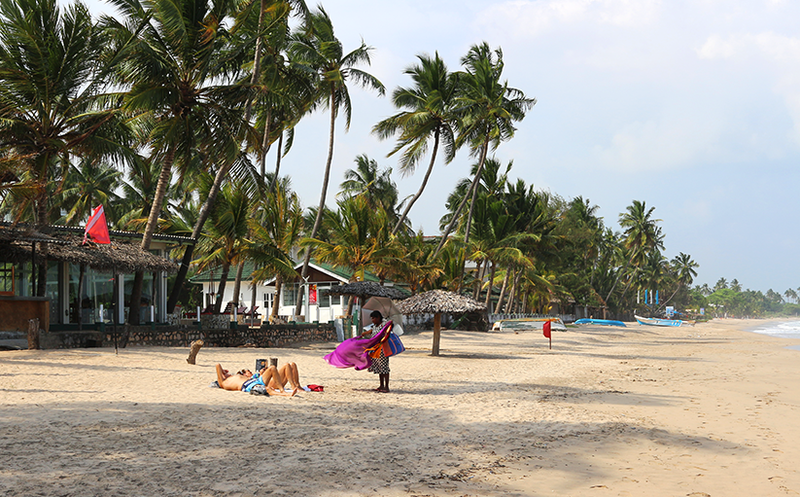 Then the Uppuveli beach with its fine, golden sand is the perfect place for you. Just make yourself comfortable on your beach towel or deck chair in the shade. You can read a novel, take a nap or go swimming in the sea that has just the right temperature. Yummy breakfast in the Cafe’ on the 18th at Sri Lanka’s east coast Uppuveli. If you’re an early bird, you can also observe the fishermen hauling up their catch in the morning. Watching 20 or more fishermen hauling the gigantic nets is a captivating experience. 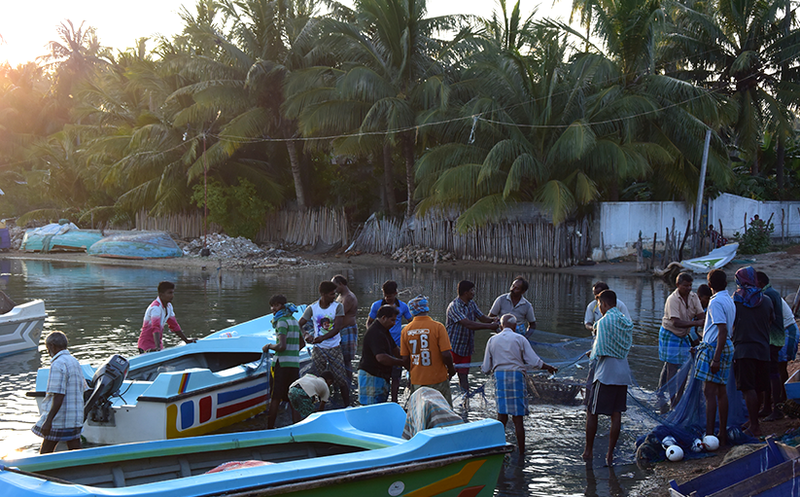 The fish are then sorted, weighted and partly sold directly to the chefs of the neighbouring restaurants and hotels who are already waiting on the beach. The remaining catch will be sold at the local fish market. Later, you can have lunch in the Rice & Curry restaurant, sitting outside under the sun blind. The restaurant offers simple and affordable meals of good quality: you’ll find fried noodles, rice, salad with seafood or fish and more on the menu. This is also a great place to have a little chat with other travellers. In the early afternoon, you can go on a lovely walking and swimming excursion. Just put on some light summer clothes, and pack your swimsuit and flip flops in your backpack. Don’t forget to bring your camera! Then head north from the Uppuveli beach. After a short walk you’ll reach the place where the lagoon meets the sea. If you walk a little distance into the confluence you can easily reach the other side by wading across. On this side, you’ll find rocks in the water and a tiny beach. When you climb the hill, you will discover a small, colourful Hindu temple located directly at the sea shore, the Salli Sri Muthumariamman temple. 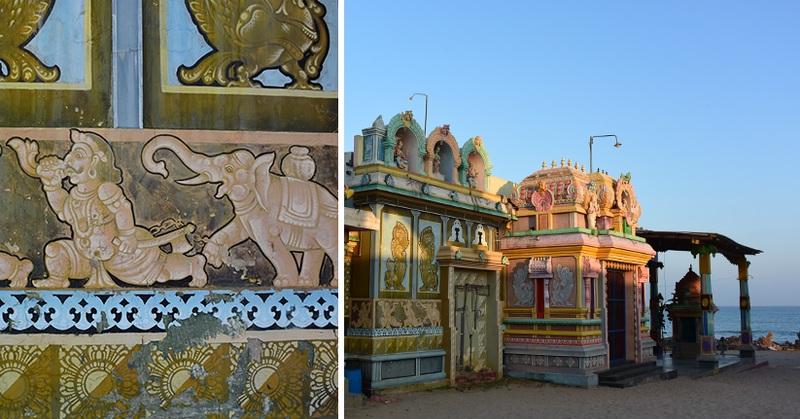 The small and colourful temple in Salli is directly located at the ocean. Busy fishermen checking the catch of the day. Take the exit on the left for the street to reach the settlement. Several fishing boats are anchored here, waiting for their next assignment. This is a very quiet and picturesque area that gives you a good glimpse of the typical local lifestyle. When you’re done exploring the area just walk back the same way you came over the hill. If you feel like cooling down in the water, find a little spot free of stones between the rocks to go swimming in the sea pool. You’ll probably have the place for yourself, or might share it with a few locals. It’s a perfect spot to watch the beach or the fishing boats going out. 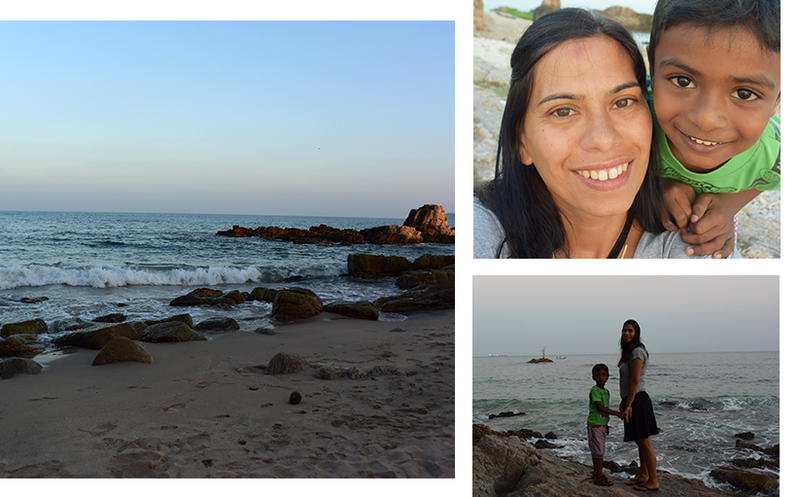 Beachwalks, bathing and enjoying the sunset at Uppuveli beach. A relaxing day should be concluded in a relaxing way, right? 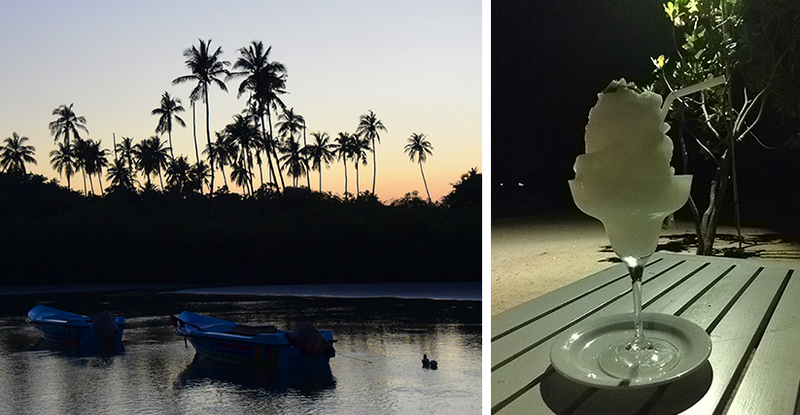 If you like a Frozen Margarita with a nice sea breeze in a romantic atmosphere, then the little fish restaurant of the Trinco Blue hotel situated directly on the beach is your place to be. Here, you can enjoy a drink and little snacks while making plans for the next day. Enjoying the sunset on Sri Lanka’s East coast.